Looking for simple (and no BS) ways to change how you live and love? Toni teaches fun & practical solutions that apply from the boardroom to the lounge room. Toni has spent a lifetime seeking better ways to ‘do’ life. 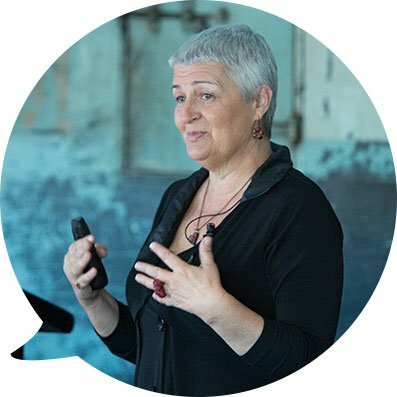 She brings disarming humour, multi-disciplinary research and lived experience together as she communicates practical solutions to life’s greatest challenges. Keynote Speaker, Personal Development Facilitator, Relationship Changer. Toni is passionate about passing on simple tools for creating better relationships, increasing resilience, decreasing stress and negativity and helping your staff get more out of life. From smoother meetings and increased productivity to less time on stress leave – everything is improved when relationships are working the way they should, people are optimistic and your team have tools that make them resilient in the face of change and difficulty. Or contact Toni to discuss tailoring a presentation to address your needs. 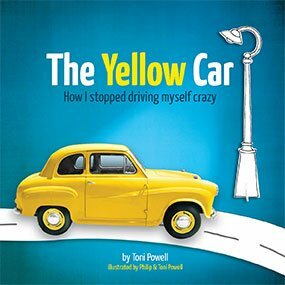 The Yellow Car: How I Stopped Driving Myself Crazy. Perhaps the shortest self-help book ever. 30 emails over 90 days full of life changing content. A simple action to take that will help you see the world differently. 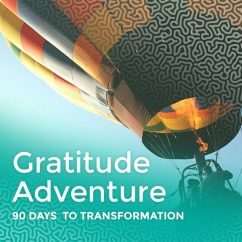 Find out why thousands of ordinary people, businesses, schools, and families have been profoundly changed by Toni’s unique vision of life, gratitude, relationships and what it is to be human.